108030 Features: -Weather tight Dry-Dock seal.-Comfort grip handle.-Rugged, textured exterior.-High-density pluck foam.-Dual stage, lockable latches.-Pad lock tabs for air line travel.-Pressure release valve. Construction: -Thick wall construction. Dimensions: -Dimensions: 16.5'' H x 20.75'' W x 9.25'' D.
The Stack-On Tactical Gun Cabinet is the safest way to store your guns. Designed with the usability and comfort of all gun enthusiasts, Stack-On does not sacrifice cost for quality. This Stack-On cabinet is approved by the California Department of Justice as meeting their standards for safely storing firearms. Designed for the most extreme conditions, this case holds two scoped rifles or shotguns. Easy-glide wheels and swivel handles make transporting this case to the field or airport a breeze. The Gun Guard AW series is the ultimate shield against the elements, featuring a continuous Dri-Loc seal that ensures the case is watertight, airtight and dust proof. Its rugged construction is designed to withstand the perils of airline travel. Product exterior dimensions: 54.625" long x 15.5" wide x 6" high / Product interior dimensions: 52" long x 13" wide x 5.25" high.The item is airline approved. 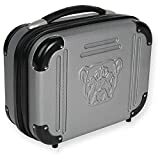 The Bulldog Cases Grey Molded Double Pistol Case measures in at 9" X 12" X 5" and has a durable ABS polycarbonate molded outer shell. The corners of the case are fortified to provide extra protection from bumps and scrapes. 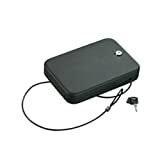 This case features a luggage-style handle as well as a TSA combination lock. The TSA combination lock allows for the case to be "flight friendly" when transporting firearms. 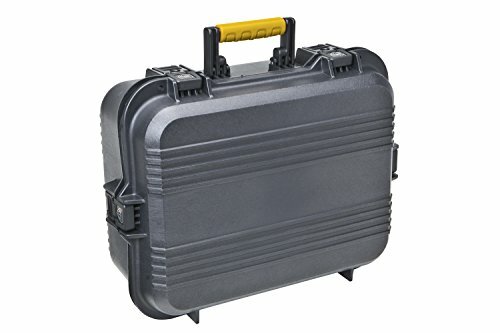 The inside padding of this case is two layers of thick egg-crate foam and will allow up to four firearms to be held within the case.